Nintendo gets a lot of flak for not keeping up with the times. But when it comes to the free to play market, even they’ve dipped their toes into that potentially lucrative world. Rusty’s Real Deal Baseball and Steeldiver: Sub Wars are great examples of how to do freemium right. 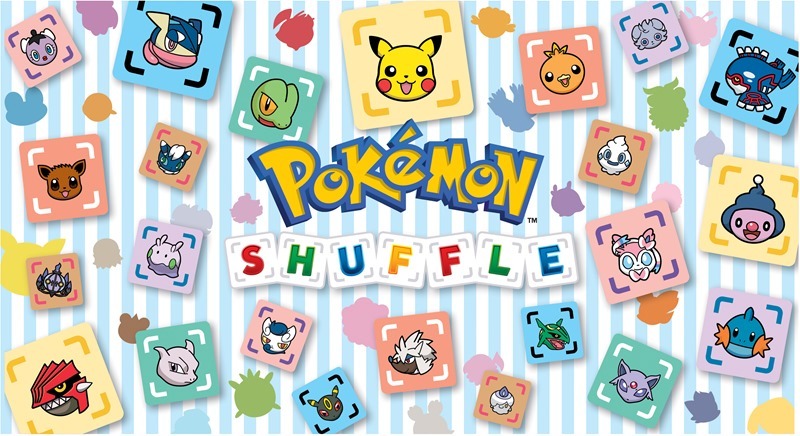 Pokémon Shuffle on the other hand, is a perfect example of how to not go ahead and apply the freemium formula to a mega-hit game franchise. Pokémon Shuffle is an easy enough game to play. It’s a game of match three, but with your favourite Pokémon to use. 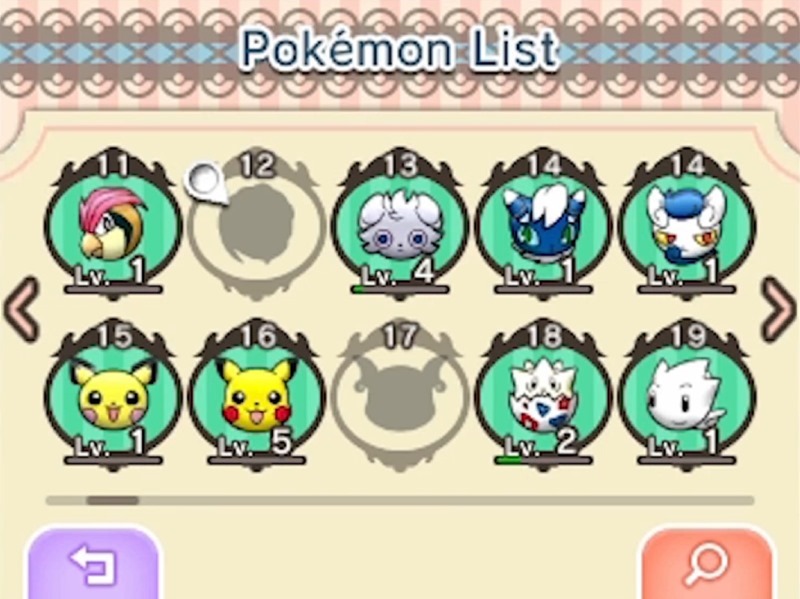 Simply put, you can drag a Pokémon icon into a position where it forms a row of three with identical other icons, and you’ll score some points. Match the Pokémon properly, and they’ll set off a chain reaction of other paired-up Pokémon and start a big combo score streak up for you. And it’s a nice presentation. Clean, vibrant and kind of cutesy. The core gameplay itself is rather fast-paced, with some puzzles being solid head-scratching conundrums as you attempt to figure out how to complete a game in the required amount of moves. There are other slightly deeper aspects to the game as well, such as using a water-type Pokémon to deal extra damage to a fire-type opponent. There’s also mega-evolution, Pokémon to capture, train and special abilities to take advantage of. Quite solid for a cutesy puzzle game then. And the then freemium side of the product hits the fan and splatters everywhere. Once you’ve picked the game up and gone through the tutorials, you’re going to start hitting the paygate wall soon enough. You can only take so many turns before the game needs a half-hour recharge, and items aplenty are available for you to spend coins, hearts and jewels on. 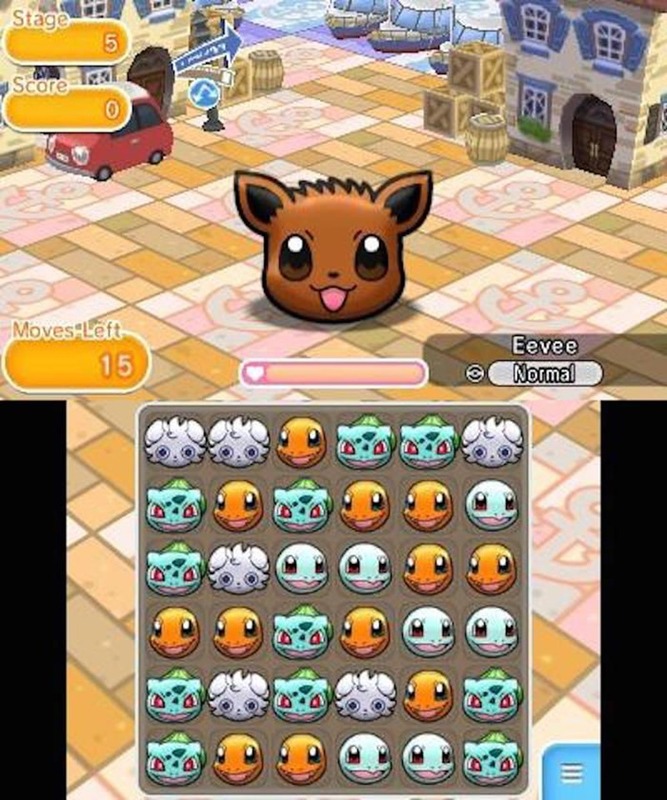 Yeah, that’s right: Pokémon Shuffle essentially has a trio of different currencies. While coins can be earned inside the game, it’s jewels that you’ll want, and they’ll run you a tab starting from $0.99 and upwards. You can of course exchange those jewels for hearts, with one jewel granting you one heart that is good for one level. And when you’re spending around a minute per level, that reliance on hearts can quickly stack up. In other words, pay up after a five minute session of gaming, or wait over two hours for your hearts to recharge. But it gets even worse. Power-ups are constantly offered in the game, as you attempt to catch more powerful Pokémon who can help you pass tougher levels. To do so, you’ll need to use a pokeball, with those Pokémon having a catch rate that varies between “buggerall” and “keep dreaming”. Sure, you’ll catch Pokémon easy enough in the opening stages of Pokémon Shuffle, but before long the catch rate will plummet and the game will poke you with an elbow and offer a pokeball with a better catch rate. For a price of course. There is nothing about this game that does not make it resemble a shady trench-coated fellow standing in a corner and whispering for you to come on over and check out his wares. Sure, you can earn extra currency via StreetPass and grind for experience points, but the gains given out feel minimal at best. And that’s a shame, because Pokémon Shuffle is a pretty addictive and decent game that has been buried beneath the freemium bloat. 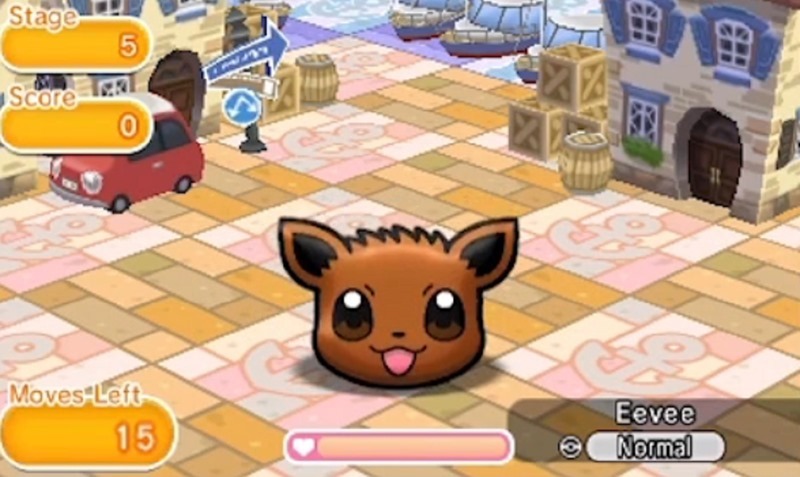 It’s also maybe a cunning plan on the part of Nintendo, as the simple gameplay combined with recognisable Pokémon is going to earn them boatloads of cash when kids pick this game up. Well played Nintendo, well played. But for everyone else, expect a surprisingly competent game that has been pay-walled off from greatness. 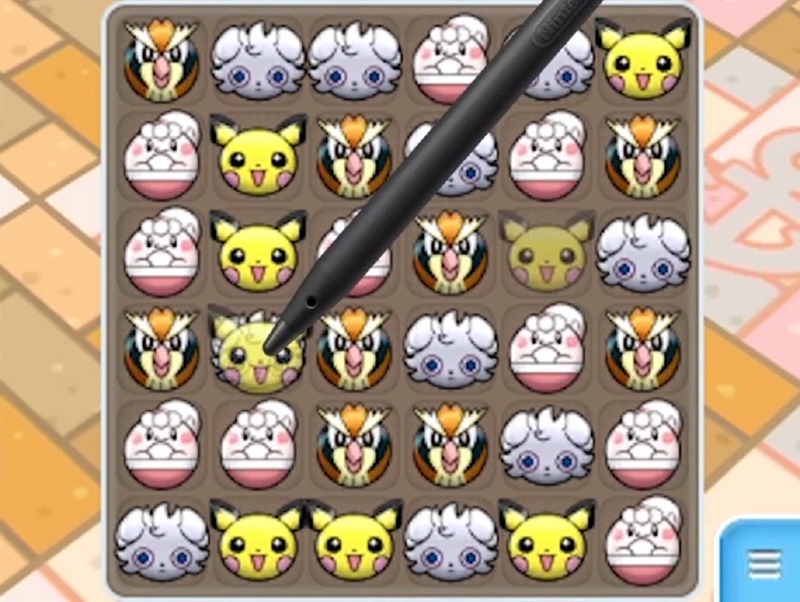 There’s nothing wrong with freemium games when they’re done right, but what Pokémon Shuffle does is reward players with very few benefits when cash is handed over, and that’s just a damn shame.